Are you interested in attending or planning a homeschool prom? Homeschooling high school doesn't mean students have to miss out on memorable high school experiences. Homeschoolers all over the country are taking part in an age old tradition by attending homeschooling proms. You can attend a home school prom in your area by contacting local support groups and home school organizations, or by gathering a group of friends and planning one of your own. Here are some tips for planning homeschool proms. The first step in planning a homeschool prom is deciding what mood you want to set for the event. Do you want a sophisticated evening or a whimsical affair? Do you have a theme in mind? If your prom will have a theme, decide on it early as it will set the stage for future decisions. Homeschooling proms can be just as unique as homeschoolers themselves. They can be formal or informal, elegant or casual, expertly decorated or strung with crepe paper and balloons. Some groups go the traditional route by hosting dinner and a party in a club or hotel, while others host a prom alternative and opt for dinner in the banquet hall of a fancy restaurant or a dressy night out with friends. Do the members of your group want to splurge or are you working on a tight budget? Is this a closed event for a small homeschool group or will you sell tickets and open it to all homeschoolers in your area? Set your budget based on your ticket prices and expected number of attendees. Make sure the homeschoolers in your group are aware of your proposed budget and ticket prices well in advance of the event so there are no last minute surprises. 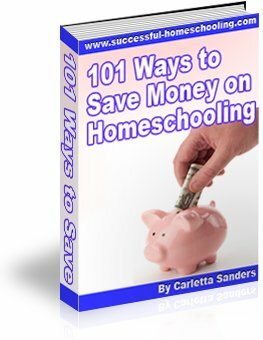 I've heard of ticket prices for homeschool proms that range anywhere from $50 to $100. However, many homeschooling groups are choosing to set themselves apart from the ever-increasing opulence of some public school proms by planning scaled down, inexpensive events. Don't be afraid to think outside of the box when looking for a venue for your prom. With the right lighting and decorations, any setting could be ideal. Can you rent a room at a community center or YMCA? Do any nearby churches have suitable facilities? Can you rent an historic home or reserve the gymnasium of a loal school? Do you know someone with a lovely backyard? What are some of the favorite sites for local weddings? For a more traditional, upscale event, see if you can find a ballroom at a nice hotel or country club that fits within your budget. Be sure to find out if you will be allowed to bring food into whatever venue you choose, or if you will need to use a specific catering service. Look at your budget, and decide whether or not you will hire a caterer, buy food from a local restaurant or have parents contribute food for the event. Wholesale clubs like Costco and Sam’s offer wonderful party platters and sheet cakes at reasonable prices. Punch, cookies, fruit and appetizers are also inexpensive and easy to make. Remember, it’s all in the presentation. Now is the time to use all of those fancy platters you received as wedding gifts! If you are planning a traditional homeschool prom, you might consider purchasing decorations from a local supply company. Also consider having teens and parents in your group make decorations or bring items from home. Tablecloths, table runners, chair covers, centerpieces, candles, Christmas lights, flowers and confetti are all tools you can use to spruce up any location. Will you be hiring a DJ for the event? If so, be sure the DJ knows what music your group finds appropriate. Have the teens in your group help you prepare a playlist. In the wonderful world of iPods, some groups are choosing to load up an iPod with appropriate music and connect it to speakers in order to avoid paying a DJ. What’s a homeschool prom without pictures taken in front of a cheesy backdrop? Remember, your future grandchildren will want to see what their mom or dad looked like on prom night. Be sure you let attendees know how much photograph packages will cost prior to the event. If you are hosting a small event, see if any parents or older teens in your group would be willing to take on the role of photographer.. Decide upon a dress code and code of conduct for the evening. Should boys wear suits or tuxedos? Are jeans, t-shirts and tennis shoes permitted? Are jackets required or optional? What is modest in one home may be considered scandalous in another, so if you are planning a Christian homeschool prom, don't forget to address modesty issues. Are backless gowns and strapless gowns a acceptable? At what point do necklines and hemlines become a concern? Also make sure to set guidelines about provocative dance, as well as safety issues regarding weapons, drugs and alcohol. By letting everyone know what is expected, you can avoid potentially embarrassing and unsafe situations. Some groups offer pre-prom dance lessons. This can be a fun way to ease jitters. Contact local dance studios to see find rates for group lessons. And remember, even though it's a homeschooling prom, you can still reserve a lime. Make your home school prom a night that will be memorable for all!